Mick Fleetwood from Fleetwood Mac was born 24 June 1947. The band were formed in 1966 in London. Founder Peter Green named the group by combining he surnames of two of his former bandmates (Fleetwood, and John McVie) from John Mayall’s Bluesbreakers. Christine Mc vie joined the band in 1970 while married to John McVie, Green asked if drummer Mick Fleetwood could join. The Bluesbreakers now consisted of Green, Fleetwoo John McVie and Mayall. Soon after, Green cotacted Fleetwood to form a new band. The pair wanted McVie on bass guitar and even named the band ‘Fleetwood Mac’ as a way to entice him. Peter Green and Mick Fleetwood then teamed up with slide player Jeremy Spencer and bassist Bob Brunning. 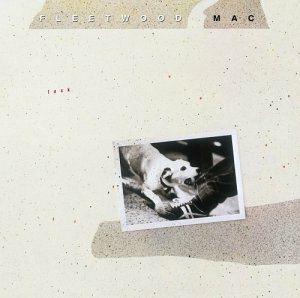 Then in one of the most bizarre events in rock history, the band’s manager, Clifford Davis, claimed that he owned the name Fleetwood Mac and put out a “fake Mac” consisting of Elmer Gantry (vocals, guitar), Kirby Gregory (guitar), Paul Martinez (bass), John Wilkinson (keyboards) and Craig Collinge (drums). Gantry and Gregory went on to become members of Stretch, Gantry later joined The Alan Parsons Project and Martinez eventually became a bassist for Robert Plant. Fans were told that Bob Welch and John McVie had quit the group, and that Mick Fleetwood and Christine McVie would be joining the band at a later date. So Fleetwood Mac’s road manager, John Courage, hid the real Fleetwood Mac’s equipment, to shorten the tour by the fake band. But a subsequent lawsuit concerning the ownership of the name Fleetwood Mac delayed Fleetwood Mac even more, although the band was obviously named after Fleetwood and McVie they signed contracts forfeiting the rights to the name. The “real” Fleetwood Mac were in fact Fleetwood, Welch and the McVies. While this did not end the legal battle, the band was able to record as Fleetwood Mac again. 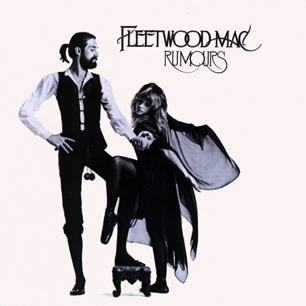 In 2003 Fleetwood Mac released the album,Say You Will, containing the songs “Peacekeeper” and “Say You Will” which was followed by a WorldTour. 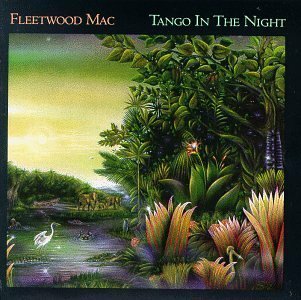 In 2009 Fleetwood Mac embarked on a ‘greatest hits’ show entitled Unleashed and Stevie Nicks wrote a song to raise funds for the Hurricane Katrina relief effort. The Very Best of Fleetwood Mac was re-released on an extended two-disc format and a new one-hour documentary, Fleetwood Mac: Don’t Stop, was shown. An episode of Glee entitled “Rumours” also featured six songs from the band’s 1977 album Rumours and sparked renewed interest in the band. Stevie Nicks’ also released a new solo album In Your Dreams. Fleetwood Mac reunited for a 2013 sellout tour without Bob Brunning, Former guitarist and singer Bob Weston or singer and guitarist Bob Welch who are sadly no longer with us, and performed two new songs. (“Sad Angel” and “Without You”), The band released their first new studio material in 10 years, Extended Play, on 30 April 2013. On 27 October, 2013 the band announced that John McVie had been diagnosed with cancer, and cancelled their New Zealand and Australian performances. HoweverSubsequent reports have described John McVie’s prognosis as “really good.” In 2014 Christine McVie rejoined Fleetwood Mac and they embarked on a 33 Date North American Tour called on with the Show. In 2015, Buckingham suggested that the new album and the new tour might be Fleetwood Mac’s last act, however Mick Fleetwood was more enthusiastic. I have recently watched the exciting classic Doctor Who episode Death to the Daleks starring Jon Pertwee and Elizabeth Sladen. It starts when the TARDIS loses all power and crash-lands on the planet Exxilon. The Doctor and Sarah Jane Smith venture outside to investigate the cause of the interference. The Doctor is captured by the planet’s inhabitants – the savage Exxilons. Sarah is also attacked by an Exxilon and flees into the night, finding a huge white city with a flashing beacon. When daylight arrives, the Doctor is found by a party of the Marine Space Corps; led by Galloway, who take him to their ship, which has been stranded by a power drain. They are on an expedition to mine “Parrinium” – a mineral abundant only on Exxilon – which can cure and give immunity from a deadly space plague which is affecting at least 10 million people. They show the Doctor some photos they have taken of the nearby city – which the Exxilons worship, sacrificing anyone who ventures too close to it. Unfortunately Sarah-Jane does so, and is captured and taken to the Exxilons’ caves to be sacrificed by their High Priest. Later The Doctor and Sarah meet a group of subterranean, fugitive Exxilons. Their leader, Bellal, explains that the city was built by the Exxilons’ ancestors, who were once capable of space travel. The ancient Exxilons built the city to be capable of maintaining, repairing, and protecting itself. However the city became self-aware and self sustaining and tried to clobber the Exxilons who fought back but to no avail and now the savage surface dwellers and Bellal’s group are the only survivors. Bellal’s people seek to complete their ancestors’ last, failed act – to destroy the city and ensure their race’s survival. Bellal explains that the city supports itself through underground “roots” and the aerial beacon. The Doctor goes to the city to resolve the problem.